Right at the heart of the debate about what constitutes ‘craft beer’ is a case like Sharp’s brewery. Founded in 1994 on the economic backwater of the north coast of Cornwall, by 2008 it was winning awards for ‘Fast Growth Business of the Year’ and three years later was acquired for £20m. This was a classic case of a brewery working towards a specific exit strategy: in this case the plan being acquisition by another entity. The other entity in this case was Molson Coors, a top 10 global brewer. 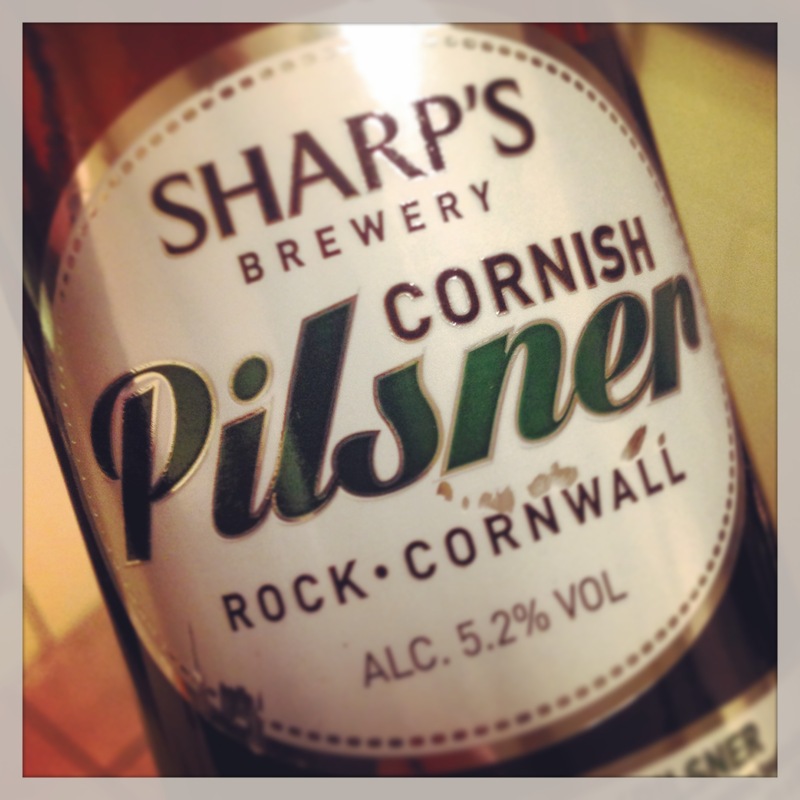 Questions get raised: do Sharp’s, now that they are part of a multi-national’s brand stable stop being craft beer simply because they have been acquired? Or were they a craft beer in the first place, given that it was widely known what their exit plan was? Frankly such questions can be a bit tiring, illogical and I’m tempted to duck the question. The reality is though that perhaps, just perhaps, Sharp’s is evidence that some organisational learning has taken place in this particular multi-national. Although some commentators are a little sniffy that Doom Bar is now the country’s (World’s!) biggest cask ale, the truth is that it was on that trajectory before the acquisition – that’s what made it attractive after all. The facts are that more Doom Bar is sold in London than London Pride – yet the beer hasn’t changed. It’s still brewed in Rock; in fact it seems the biggest challenge has been how to increase capacity. This was the pledge that Molson Coors made at the time and three years on, they have stayed true to it. 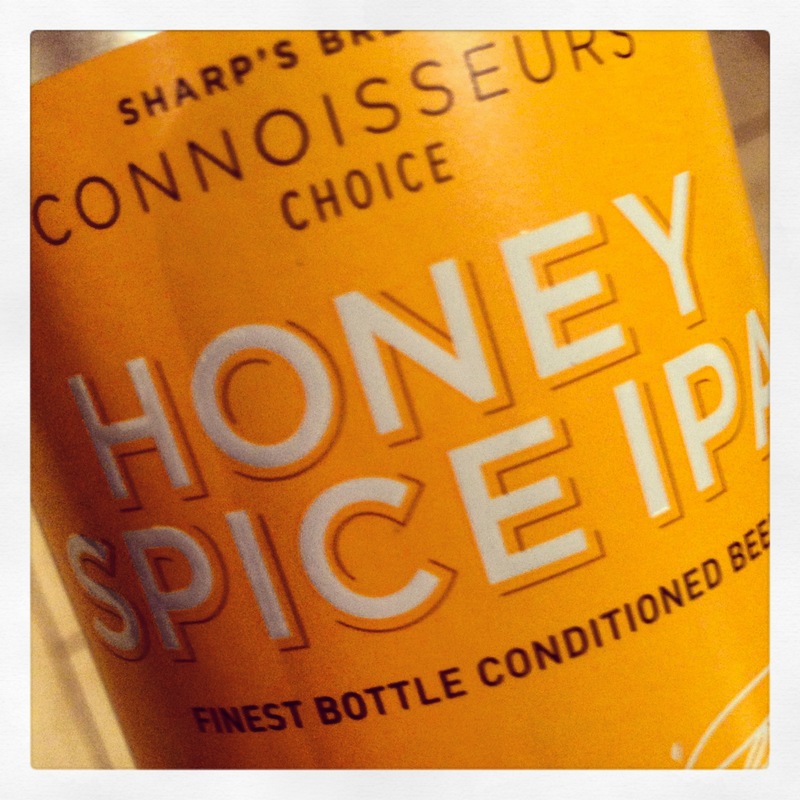 And Sharp’s continue to brew interesting beers – I was lucky enough to get hold of three of them; one I was keen to try given that last year it was awarded ‘World’s Best Lager’ at the World Brewing Awards. The other two were from the Connoisseur’s Choice series. All bottle conditioned; all brewed with interesting ingredients using interesting processes. Is this not craft brewing then? The first, the award winner, is Cornish Pilsner, a 5.2% beer, lagered on Saaz / Zatec hops. It’s also, unusually for a lagered beer, bottled conditioned. What I find surprising is it’s description as a pilsner: unlike classic Czech pilsners it is very blond in colour and couldn’t sustain a head for any length of time; equally unlike a Czech pilsner it has an incredibly agitated, mobile bead of carbonation arising from the beer, a function of the refermentation. And herein lies the issue with expectation management – this is apparently the World’s best lager, yet against that accolade it fell down. It is still a great beer though: much more like a Bavarian Helles, its taste was clean, with a strong malt structure, biscuity with a herbal background and a pronounced yeasty character. I was left unsure about the benefits of bottle conditioning for the beer (especially as I couldn’t really see any yeast) but in no doubt that it’s a fine beer that I’m sure will be a success (that is if they can afford the vessels and space for their lagering tanks given the capacity issues). Sharp’s Connoisseur’s Choice no. 9; another product of Sharp’s slightly deranged tinkering, in a good way. 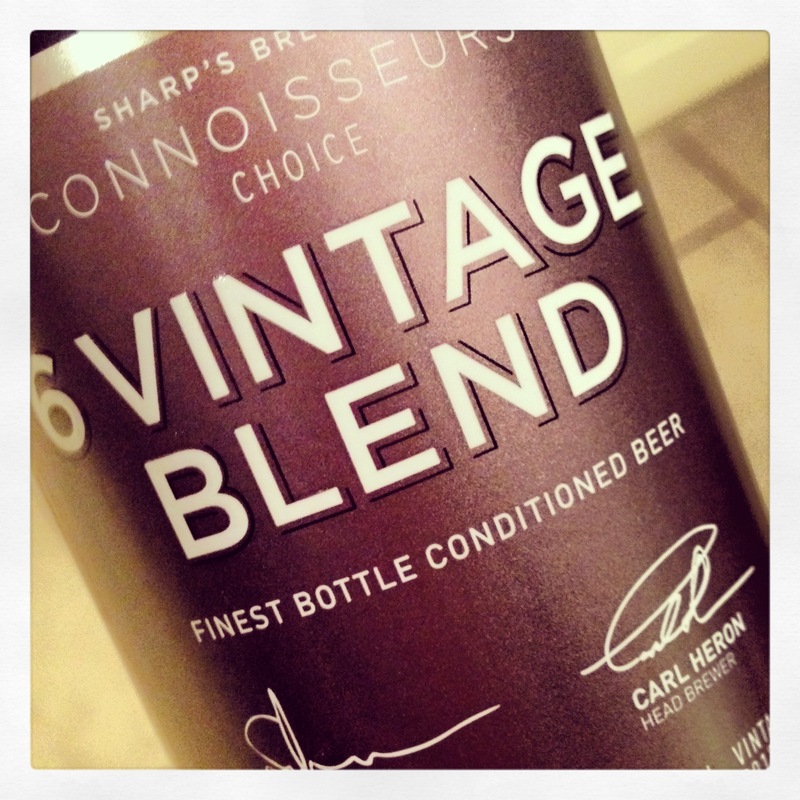 No.9 is a blend of beers; a ‘6 Vintage Blend’ in fact and at 7.4% a bit cheeky. Displayed here then are the brewers’ affections for Belgian brewing heritage, getting back to techniques which were once everyday over here. This blend has a beautiful colour, somewhere in the spectrum between an old tudor sideboard and a glass of aged burgundy: there’s a definite red hue shining through. And the aroma: without me getting all Jilly Goulden about things, there was a clear smell of beeswax furniture polish – yet the taste was much more what you’d expect; rich, mulled fruits, a slight Christmas cakeness which is warming in the foretaste and had a brief linger in the aftertaste of Aunty Hilda’s sherry. Again, in a good way. A great beer: and definitely for Connoisseurs. Less so the Honey Spiced IPA though. This was is still a bold 6.5% ABV but more accessible – accessible in that ‘caramel and seasalt’ combo sort of way. In this case, we have honey and black peppercorns. This particular alchemy produced an aroma part expected, part surprising. Expected: a caramel toffee sweetness; unexpected: a clear whiff of gooseberry skins and Swizzels Matlow Tutti-Frutti chews, presumably from the combination of malt and honey sweetness. There’s an amazing depth of flavour too, hop leaf to the fore, then chewy caramels, then the gentle warming from the black pepper and later a mild fizz on the tip of the tongue. Where this all nets out is to make a bit of a mockery of all the ‘what is craft beer?’ discussion. What I’m after is a healthy brewing world with the big boys investing and supporting interesting beers, leaving space for the start ups and the reputation of beer as a whole on the rise and influencing the Government into taking a grown-up stance to social and financial issues like taxation. Brewing up in Cornwall, we have a little snapshot of how it could be.